Irish at Heart - monemades Webseite! 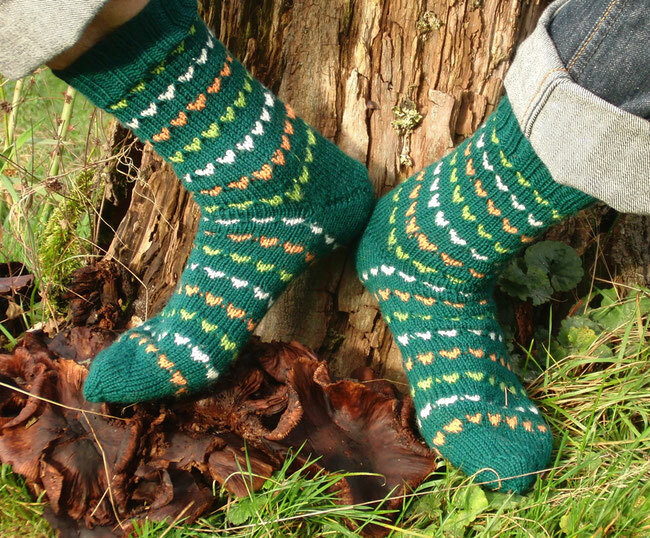 The centrepiece of the collection I talked about yesterday are naturally the socks I shown on the title: the pattern everything started with. However, I came to realize rather quickly, that it might be not the best idea to ask people to use a self-striping yarn and then just try whether the pattern works or not. So I came up with this version, which is easy to make and can be customized to your liking. On a solid background, the heart motifs in slipped stitches are worked using small amounts of contrast coloured yarn. In my sample with three colours, approximately 10 g of each colour are needed. But the choice is all yours: Use as many different colours as you like (and maybe use up those odds and ends we all have from previous projects), work the heart stripes at different intervals, the possibilities to make this pattern your own are endless. By the way, the pattern is done in mosaic knitting with slipped stitches, so you only work with one colour at the time. 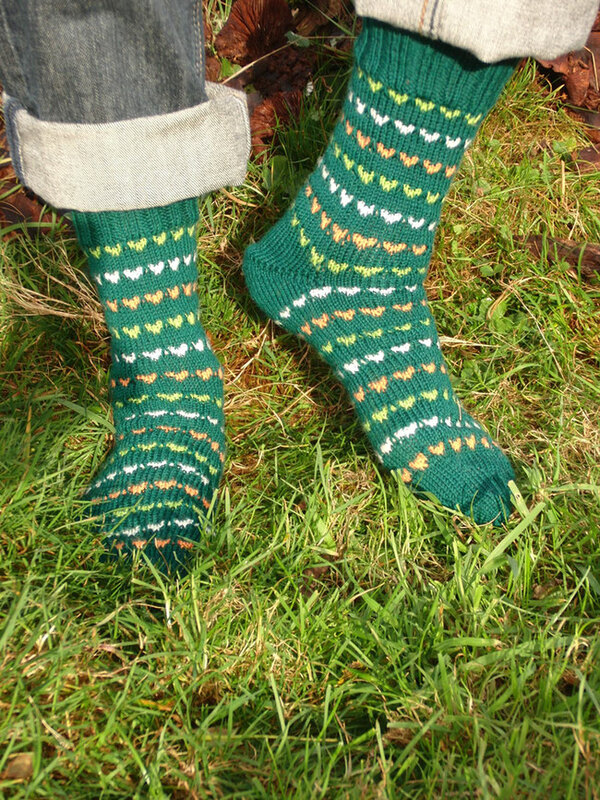 Irish at Heart is available as an individual pattern, here, or as part of the Irish at Heart collection, here.